We know it’s cold in Yarmouth, MA. To keep the winter weather out, it’s important to have a well-insulated garage door. At Caspersen Door Systems, we offer your GARAGA garage doors built to handle our weather. At Caspersen Door Systems, we have technicians that are qualified to repair all brands of garage doors. They also repair electric door openers. They repair and maintain all makes of residential, commercial, industrial and agricultural garage doors. Our installers have many years of garage door installation. 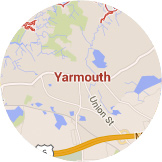 All of the technicians in Yarmouth, MA are trained and qualified so every door is installed safely. Create your new garage door from the comfort of your home, it’s possible! The attraction of a house is through all the details that compose it and the garage door is one of them! Caspersen Door Systems’s mission is to guide you through the buying process of your new garage door. Your satisfaction and peace of mind are our priority. 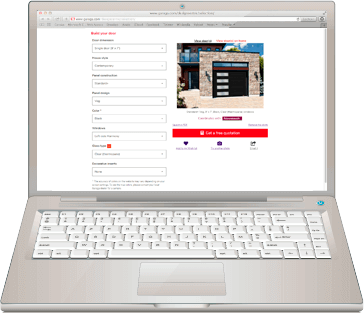 To help you in your decision, we propose you design your new door by a simple few clicks of a button, with our Design Centre. In addition to choosing its size, model and color, you can personalize it even more by adding a decorative hardware and windows that harmonize perfectly with your home. 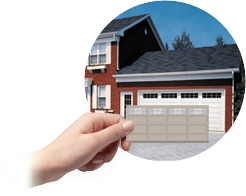 Our specialists in Yarmouth, MA will help you find a garage door that fits your needs and your finances. We can also suggest door models and accessories to make using your new garage door simpler. Is this the year you finally tackle that home addition? Maybe you’re ready to start your renovation project? Our specialists can help! We can show you how a new garage door can fit into your plan. Windows, colors, styles, door openers… there’s so much to think about! We can help you design the perfect door for your home. When it comes to an electric garage door opener, you want the safest, most reliable brand on the market. That’s why we recommend LiftMaster brand door openers to all of our customers. Equipped with the latest technology, LiftMaster brand openers are easy to use. Operate your new garage door system from your smartphone tablet or even laptop computer. LiftMaster openers come with a selection of accessories which may include remote controls, a smart control panel and more. Looking for an attachment that’s not listed? Additional accessories can be added to most models of LiftMaster openers. Give our experienced technicians a call today for your garage door problems! It’s convenient to use your garage door to enter and exit your home. If your door suddenly isn’t working like it should, we can complete emergency repairs. Our trained specialists can get the job done in a timely manner, giving you back the use of your garage door. To make sure your door continues to be safe and reliable, call us to book a preventive maintenance. 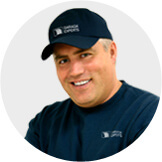 We serve all residential and commercial customers in the Yarmouth, MA area. We will inspect your door, looking for any damaged parts. If repairs are necessary, we’ll recommend the best course of action, and then complete the work upon your approval. Finally, we’ll lubricate your door and its components, making it work like new!